Genomics studies the sequencing and analysis of genomes in an effort to gain a better understanding of the genetic basis for various illnesses, as well as reactions to medications. In addition to medicine, it can also be applied to biotechnology, anthropology, and other sciences. Of course, for any breakthrough to happen in the field, scientists have to continue collecting new material for various research projects. Encrypgen’s Gene-Chain can facilitate the process by offering a secure solution for storing and sharing genomic data, accessible to both the scientific community and donors. Encrypgen was founded by a team of experts in genomics, ethics, programming, and management. The company founder and CEO David Koepsell, J.D./PH.D., has years of experience in law and ethics. He is also the author of numerous books and articles on the subjects of ethics, genes, and ownership. Encrypgen co-founder Vanessa Gonzalez Covarrubias, Ph.D., is also the company’s genomic science advisor. She has published many articles on the subject of genetic science in various journals. Gonzales Covarrubias is currently researching pharmacogenomics. Gene-Chain’s lead developer Maurizio Viviani, Ph.D., is an expert in parallel processing, supercomputing, and programming. He’s also the founder of several computer companies, such as Strong Artificial Intelligence and Digimatronics. The company’s software engineer is Gianfranco Tavella, a specialist in Big Data Management, Business Intelligence, Deep Learning, and Knowledge Management. Genomics is developing at an extremely fast rate, so scientists can expand their research efforts and learn more about serious diseases such as cancer and AIDS. For optimal results, they need a lot of genomic data collected from various donors. Additionally, more and more people are interested in exploring their genome, as it can tell them a lot about their health. It can, for example, reveal whether you are at a high risk of developing a disease, which can allow you to take precautionary measures well in advance. Keeping all of this in mind, different companies offer donors the opportunity to store their genomes, also making it easier for scientists to access and examine them. However, these platforms and servers are usually insecure and very easy to hack, which can endanger the privacy of the donors. Encrypgen offers a highly secure blockchain technology for safely storing genomic data. 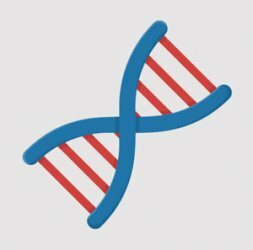 Gene-Chain, a blockchain developed by Encrypgen, is a secure cloud storage for genomes. Any user can store their data for free and decide whether they want to share it with scientists in order to help the advancement of science. Scientist and research institutions, on the other hand, get access to an immense selection of genomic data, which can help them with their research projects. Gene-Chain comes with all the benefits of blockchain such as peer-to-peer sharing, an unhackable network, permanent record creation, and searchable transactions. Encrypgen offers Gene-Chain Coins, a cryptocurrency that can be purchased and exchanged within the Gene-Chain platform. Donors will receive reimbursements in Gene-Chain Coins for their contribution to science. So basically, researchers can purchase the data they need without wasting time on lengthy legal and ethical procedures while donors can receive compensation for sharing their data. Research institutions and universities can buy licenses to safely store their data on Gene-Chain. The licenses are currently ready for beta deployment at affordable prices. There are three licenses (products), including Gene-Chain Link ($35,000), which is for organizations that already have stored data but want to enjoy the benefits of the blockchain, Gene-Chain Lab ($50,000), which is for labs that want to improve their storage, and Gene-Chain Commerce ($125,000), which is the largest plan developed for organizations with extremely large storage needs. Gene-Chain is designed to fit the needs of both scientists and donors without compromising anybody’s privacy. It represents a big cloud full of genomic data available to researchers. Scientists can browse through the data, find what they need, and file a request to use the data in question. Gene-Chain uses the blockchain technology for encryption, making it impossible for anyone to access donor information without their consent. Each donor can grant access to researchers or physicians using unique keys that expire after a certain period of time. Gene-Chain is incredibly user-friendly. This blockchain is, as Encrypgen likes to call it, platform-agnostic. Thus, genomic data can be stored on Gene-Chain regardless of the platform where it was stored before. As previously said in this Gene-Chain review, research centers, universities, and similar institutions can store their genomic databases on Gene-Chain after purchasing a license. Gene-Chain ICO will last from June 15, 2017, to July 18, 2017, or until Gene-Chain raises 1000 BTC. During the first week of the ICO, you can get 72.000 Gene-Chain Coins for 1 BTC or the equivalent in ETH, LTC, ETC or DASH. The amount lowers for 5% every week. Gene-Chain has created 100 million Gene-Chain Coins, with 80 million available for sale. The development team gets 10 million Gene-Chain Coins, 5 million Gene-Chain Coins are to be used for marketing purposes, and 5 million are reserved for bonuses. You can purchase Gene-Chain Coins via the Encrypgen website. All you need to do is fill a short form and choose the cryptocurrency you want to use. In 24 hours, you’ll receive a signed agreement as verification. After the end of the crowdsale, you’ll receive your cryptocurrency wallet. Encrypgen also has a couple of special offers. For every purchase over 1 BTC, you get 3% extra and every buyer who spends more than 5 BTC gets 5% extra. When the crowdsale ends, the person who invested the most in the ICO gets a bonus of 1 million Gene-Chain Coins. Bitcoin Bros’s Gene-Chain YouTube Review deals with the potential and advantages of the project. Encrypgen’s YouTube channel provides CEO David Koepsell’s presentation about the Gene-Chain project. He introduces the goals of the project and use cases, explaining how the platform could contribute to genomics. CEO David Koepsell’s Facebook Q&A video revolves around the progress of the project, potential partners and customers, marketing and publicity, and more. If you’re interested in genomics, want your own data safely stored and examined or are thinking about investing in a developing branch of science, Encrypgen might be just what you are looking for. Encrypgen has gathered a team of experts to develop Gene-Chain, a blockchain platform for safely storing and accessing genomic data. In order to make transfers easier and genomic data storage more profitable, Encrypgen has introduced Gene-Chain Coins. As we’ve established in this Gene-Chain Coin review, you can take part in the crowdsale and buy some Gene-Chain Coins for any amount of BTC, ETC, ETH, DASH or LTC you want.